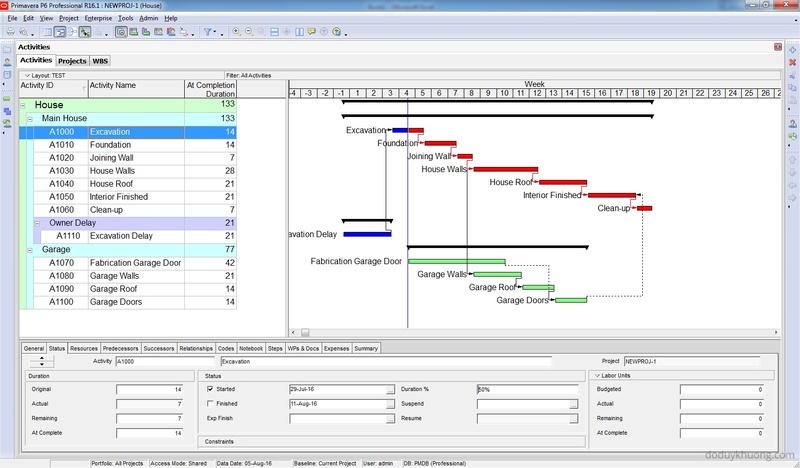 A Time Impact Analysis is a method used to determine extent of impact from potential delay in construction process. This schedule analysis method involves the insertion or addition of activities indicating delays or changes into an updated schedule representing progress up to the point when a delay event occurred to determine the impact of those delay activities. Excusable Delays occurs due to events which are outside the control of contractor like heavy rains, storms, strikes, fire, client suggested changes, differing site conditions, change of government policy… etc. When there are excusable delays, contractor is entitled to time extension in case date of completion is extended. Such delays can also affect non critical activities which must be considered with more detailed analysis. Excusable delays can be further classified in compensable and noncompensable delays. As name suggests excusable compensable delays are those in which contractor is entitled for extra payment (compensation) i.e. monetary compensation and time extension as well. But decision that a delay is compensable or noncompensable is taken as per contract between client and contractor. Natural disasters or some reasons which are out of control are not considered. Example of such delay could be that client doesn’t allow access to site even after notice to proceed is given; other such delays which are due to client are compensable. Such delays are such where both contractor and client are not responsible for delay. Under such circumstances only time extensions are granted and no monetary compensation is provided. Such delays include act of God. As name suggests these delays are such that they don’t have any excuse or no excuse can be given for them. They arise due to carelessness or actions and inactions of contractors and subcontractors. For such delays no time extensions and monetary compensation is given to contractor if it has affected whole duration of project. In such cases client is liable to get liquidated damages. Example of such delay could be constructing something wrong which is not given in drawings, not completing work on time, improper resource allocation etc. We have 1 delay from Contractor in “Garage Walls” but it was not on the critical path. As long as the delay is within available float there is no effect on the final completion date. We have 1 delay (28 days) from Owner in Garage Doors but it only affect 7 days in the critical path. Other 21 days were absorbed by available float. We don’t have any delay. This technique involves interim assessment of delay on updated schedules at specific periods of the project. This is similar to the “snapshot technique” and “contemporaneous period analysis”. 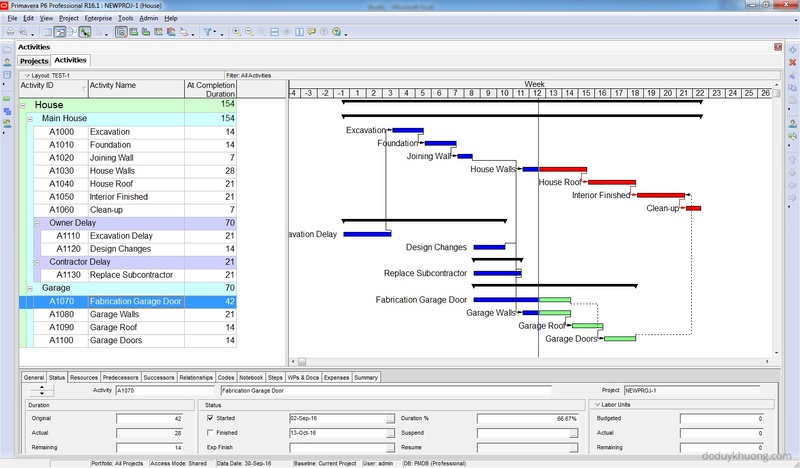 First, the total project duration is divided into a number time periods (windows or snapshots) usually based on major changes in planning or major project milestones. The schedule within each window is updated to reflect the actual duration and sequence at the time of the delay while the remaining as-planned schedule beyond the window period is maintained. Analyses are performed to determine the critical path and new completion date. This new completion date is compared with the as-planned completion date prior to this analysis to give the amount of delay during that window period. This technique is a variant of the window technique described above, with the difference being that the time impact technique concentrates on a specific delay or delaying event but not on time periods containing delays or delaying events. A stop-action picture of the project is developed each time it experiences a major delay situation. The schedule is then updated at this delay period and the effect of the delay is analysed to establish a new completion date. The difference between the new completion date and the date prior to the exercise gives the delay caused by that particular impact. However its limitations include: it may not be practical or realistic to use if there are an overwhelming number of delay causing events. The delays on your examples happen before the activity start. How about if the delay happens after the activity starts? I have a scenario. What if the excavation started on time. After a week, a typhoon came and the excavation activity is paused due to unworkable site condition. After 2 weeks, the excavation resumes. In term of software, it’s very hard to insert a “Delay activity’ in “the middle” of normal activities in project. In my current project we define activity duration less than 20 days (if there’s a big job which need more than 20 days, we have to break it down to many activities which their duration is less than 20 days). We update project monthly, so usually there is not much Delay event happen in middle of an activity. Hope that our friends out there have a solution for it. Please share with us. Hello D and D. I might suggest the following for an activity that has started on-time, and then been delayed, but then resumed. P6 has a “suspend date” and a “resume date” feature for each activity. Once an activity has started, you can then enter the date that the activity was suspended (i.e. when the Typhoon hit in your example) and then enter a “resume date” after the impact is over. You can then show this impact by turning on “bar necking” which will shrink the actual bar down for non-work times (you’ll need to select the option to “bar neck” under the bars option). 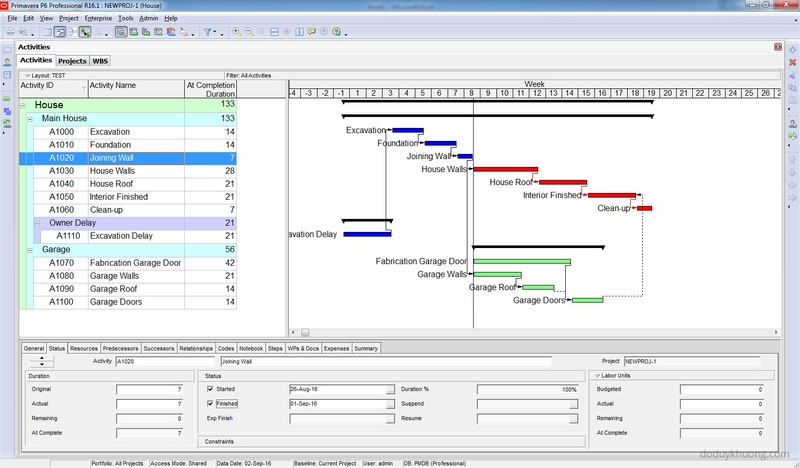 This feature only shows when you are sufficiently zoomed in to the gantt chart. 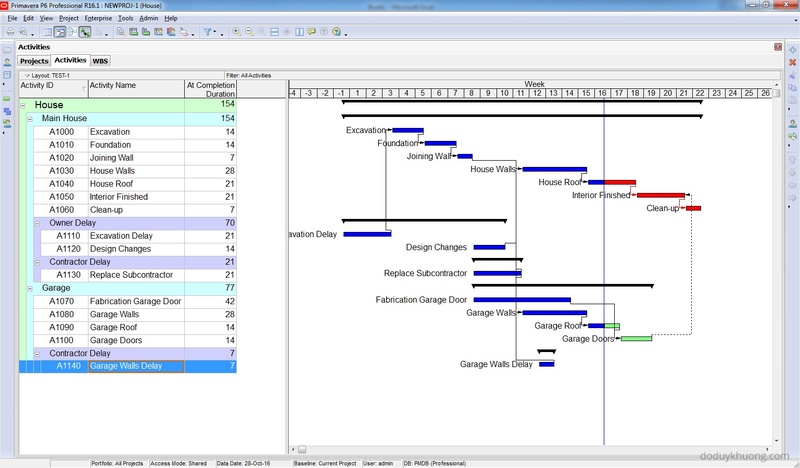 Another way (my preferred way) is to add a curtain to the gantt chart and label it. A typhoon would certainly affect all activities in the schedule, so weather related impacts can be best shown (IMHO) by showing a solid curtain for the dates of impact. I like to change the curtain to a solid texture. 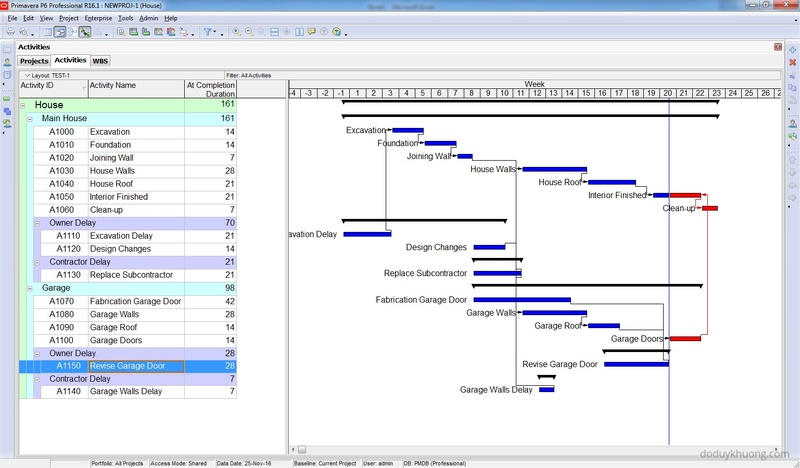 Right click over the gantt chart, click “attachments” > “Curtain” > “Add Curtain”. You can then change the color, fill type, and dates. Feel free to use the “Attachment” > “Text” to then label this curtain. Note that the attachments (curtains or text) are associated with the activity that you were right clicking on in the gantt chart. So if you delete that activity, you lose the attachments. Be sure and save this view if you like the attachments, or you’ll lose them and have to create them if you open a new view. Happy scheduling! Yes we can use the suspend and resume function but it hard to show the delay name (maybe we have to use Activity note). Add Curtain is also an interesting way. But I think we can not assign relationship and push activity away to reflect the delay. Hope to receive your advice or you can take a screenshot of your project so we can imagine how it work. One again thank you for sharing Nathan. 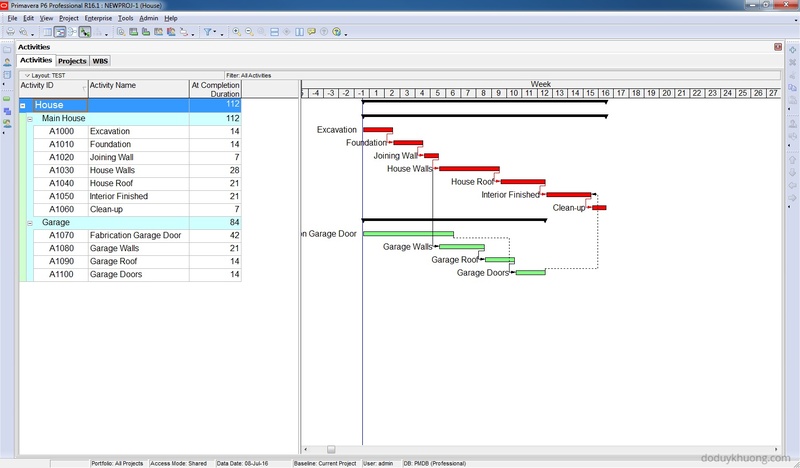 To keep it fairly simple, why don’t you just add the delay with its start actualised, add a FS to the excavation activity and schedule, this will automatically push out the remaining duration of excavation and show you the potential delay caused (based on whatever duration you have given the delay activity) to the project overall. You can also add a new ‘bar style’ that is linked to a filter so that for example all activities starting with DEL are set to colour orange or whatever. The impact of the delay on the activity should be at complete duration – original duration. Its not as clear once you schedule beyond the point where the delay has happened but if you show the baseline bars also then it is straightforward. Actually I am performing a FDA and I have the same problem with an Access Road (start of Earthmoving, but failure of Compacting Test). I am doing like this: for example my Road has ID = A1060: I will transform it as Level of Effort Activity, and then I will create 3 activities task dependent A1061 earthmoving, A1062 stop of work, A1063 resume. I think that this is the best way: you will not lose your relationship (you need only to change between A1060 and 1061) and moreover you will not lose your ID if you want to make a baseline comparison. You mentioned in the title “TIA/Window analysis”, the TIA require inserting the fragnet prior the delay event, then analyze the outcome and determine the actual impact of the delay. 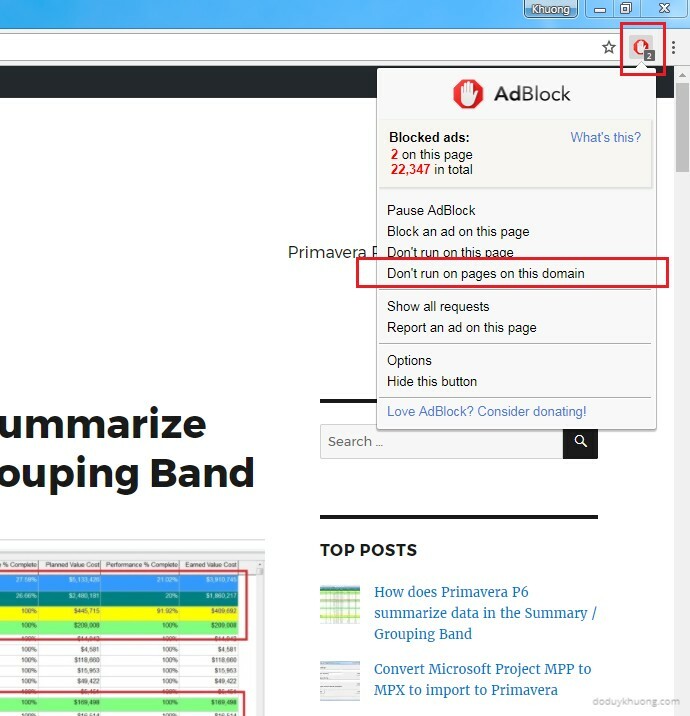 So the example doesn’t qualify to be a Time Impact Analysis, I recommend inserting the fragnet prior the window and determine the impact of the fragnet using the CPM calculation, then run your window and determine the actual impact of the delay, assuming that there are no out of sequence that need to be resolved as your example show, and also it will help determine the concurrency in the delays, when you insert the owner delay separately than the contractor delay and evaluate the impact of each them separately and then in the next update period or the window after the delays are completed, determine the actual impact of these delays on the project, by that you will be able to combine both the Time Impact and the window analysis in one example. And also starting from the 4th window a lot of owners will argue the fact that although the garage wall delay was not critical but it delayed the garage path so the compensable payment would be the difference between the longest path and the garage activities path not all delay period would be considered compensable, excusable yes but they will argue the fact that the whole delay is period is compensable. Thank you again for your effort. Thanks for your comment. I really appreciate it. You’re right. There are some situations which is more complicated than my simple example. However I still can’t fully understand your idea. That’s would be great if you have time to write an article to demonstrate your idea so that we all can understand more clearly. As said about ” Impacted as planned” Is always one sided and it doesn’t fully take into account that the actual program vary a lot as compared to As-Planned Program; lastly, there is no hassles on is the program used is correctly updated or not. But, yes it is the easiest way to assess but no need of as built information for the program. This is true while you don’t care on resources. But as a contractor I could claim for an extension saying that at a beginning I didn’t plan to require those resources at that “new delayed period”. To avoid this discussion, my suggestion as a contractor, try to include as less float as possible in tour baselines. You’re right. That’s a very interesting point. Are you saying you are going to claim an EOT with cost due to the non critical delay event? What if the owner will answer you “Yes, you did not plan those resources on that date, but you did plan them as per original schedule as this is part of your contract scope”? That would come up with the same impact isn’t? Thanks vermuch for such effort. You’re right. Because owner change design, the 21d delay should be Excusable Compensable. However in this case I just want to show all delay type, so I decide to use 7d for Non Excusable and 14d for Noncompensable. retrospective analysis, but adding a fragnet for the delay event. Thank You. Now we got the delay in number of days. But that also means the project cost has increased since the projection completion duration has increased. Now due to increase in duration of project what will be the cost at completion, how will we know from P6 ? Can you Please show us that. I would be of great help. In our current project, the cost is calculated in daily basis. Total extra cost = extra days x cost per day. However it is performed by another team so I’m sorry that I can not answer this question in more detail. Thanks for the Information anyways. The most practical answer to your question, in my opinion, is to represent the delaying events in three different activities (i.e. add two new activities + one original). Then name these activities as (1) Pre Delay excavation, (2) Delay, (3) post delay excavation. Thereafter, you should establish appropriated relationship between new activities then run the schedule. You can repeat this procedure as much as you need. It was a very good , simple and easy to follow. However, total delay is 49 Days. ie 28 E Non compensable+14 Days compensable= 42 days only. ie 7 Days Non excusable with Penalty/LD to the Contractor , correct ? Thanking you for all your articles. Please , I have more issues in Claims . I am looking for support . For e.g: what is the best way to creat a collapsible as built ? Is is taking more time now and not practical for Projects with 8000 activities ? However I might not be able to support individual case. My target is only sharing knowledge which I know. Thank you Doduy. I will communicate through face book.